This is our versatile diced beef. Our aim is to bring you the best beef and mutton you will ever taste. 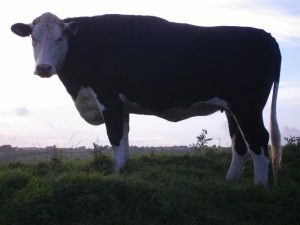 The secret is (1) older animals, (2) grass-feeding and (3) super-ageing after slaughter. Wernlwyd (Eng: Grey Alders) is not certified organic but we employ organic principles. Our pasture has not been reseeded for years, most of it for generations. Over that time it has become naturalised with wild grasses and flowers. That brings higher welfare and improves quality. 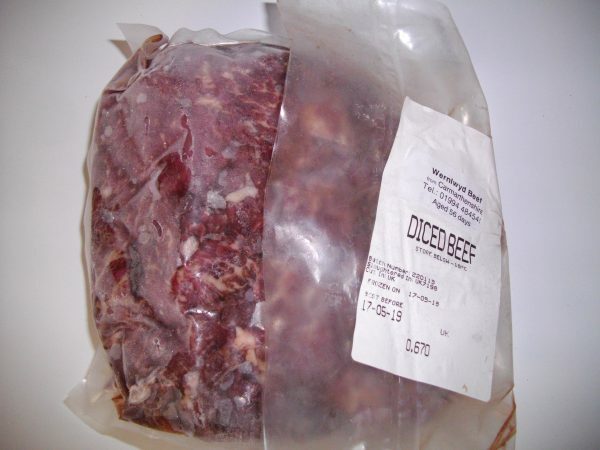 Our diced beef is excellent to cook with. Fry in a bit of oil (who said ‘oil’? use beef dripping!) to allow the flavour to come to the fore, then cook it with onions and your own special herbs and spices in a stew or a pie. You will think of ways to treat yourselves with this wonderful pack of luxury. One pack weight is around 680 grams, or around 1lb 8oz. That will feed six people, or four hungry ones. 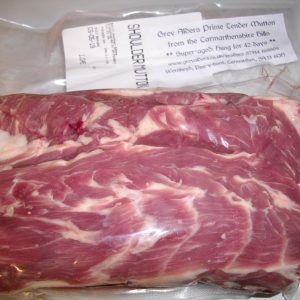 The price is £12.34/kg ( £5.60/lb) at the Wernlwyd farm gate. Order online now for collection in Carmarthen Farmers Market or Llanelli Steet Market. Or why not turn up to collect and see the farm? 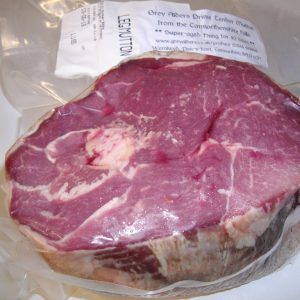 Steaks, Beef Forerib, Roasting Joints, Silverside, Brisket & Slow Roast, packs of Beef Mince and Boxes of Beef are also usually separately available. To say nothing of our super-aged mutton! 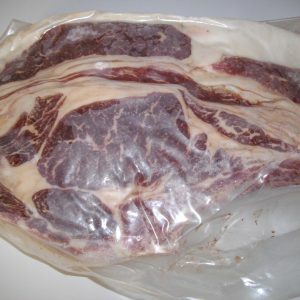 First class beef , I made a casserole with it , hoping to have some the next day with potatoes . Huh, no chance it disappeared it one sitting with both my son and myself having seconds. 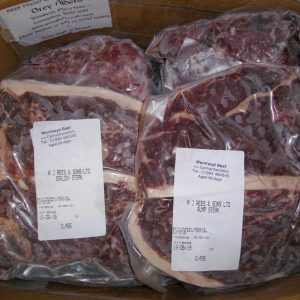 If you are looking for tender beef search no further .